“In believing we are a nation, we are cherishing a great delusion. How can people divided into thousands of castes be a nation?” – B.R. Ambedkar. 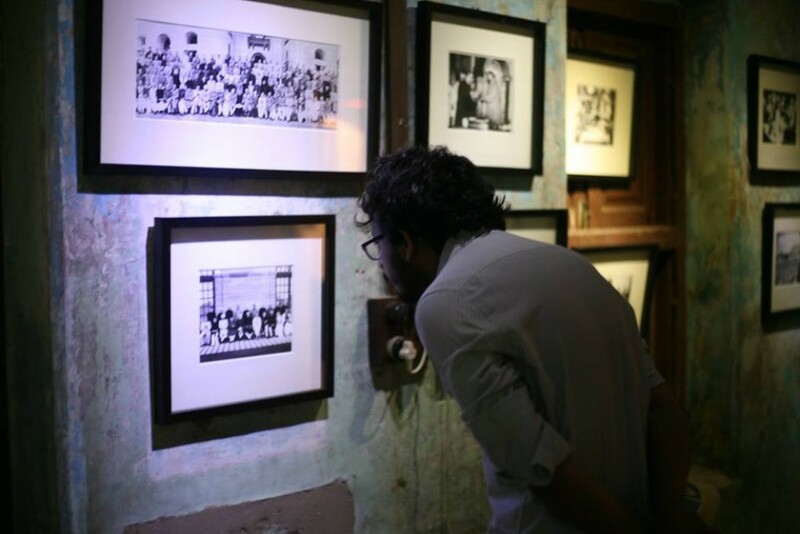 Blue Icon – Contemporary Reiterations is a perfect example of brilliant curation, one which elevates the exhibition to an immersive and moving experience. 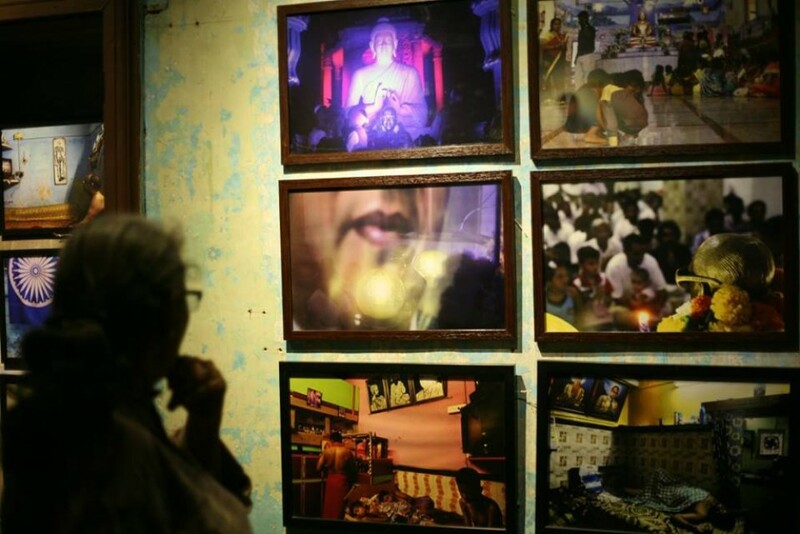 Curated by Mumbai based documentary photojournalist and Padma Shri recipient – Sudharak Olwe, the exhibition touches the critical situation of Dalits of the country in modern times. 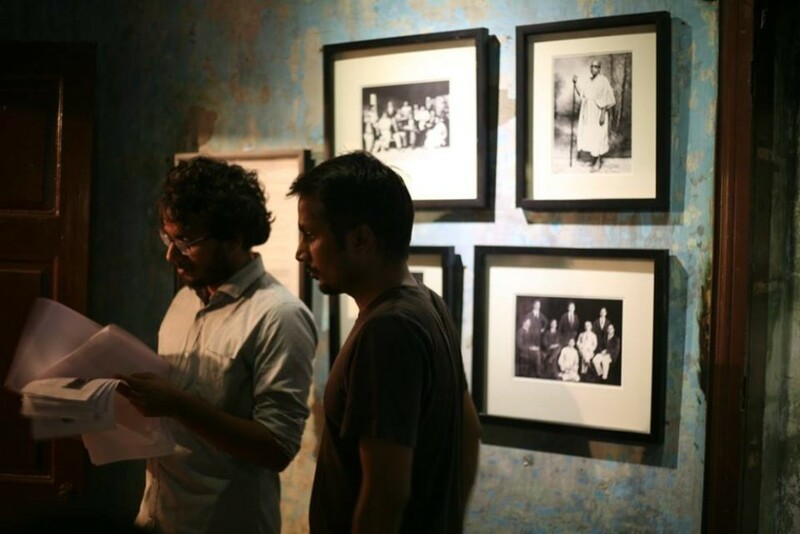 The exhibition chronicles some rare and unseen Ambedkar images along with images from photography workshop undertaken by Sudharak with Mumbai’s community people, followed by moving images of Mumbai’s conservancy workers. Exhibition is segregated in 3 sections. Paying tribute to B.R. 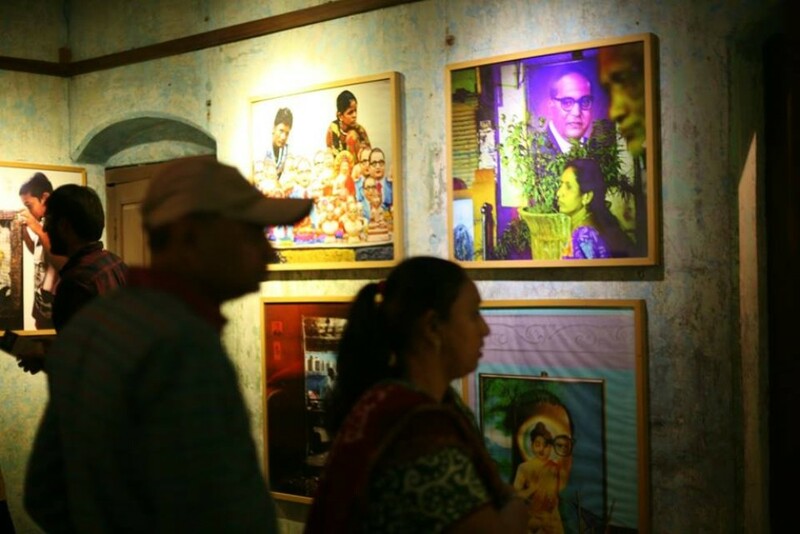 Ambedkar’s life and ideals in first section – showcasing some intermittent images of his life. Born into a poor ‘untouchable’ family in the Pre-Independence era, he spent his entire life fighting against social discrimination – particularly the ills of the Indian caste system. The same man, at later stages of his life rose to a position where he played a significant role in designing the fundamental principles of this great Nation by contributing as an architect to the Constitution of India. 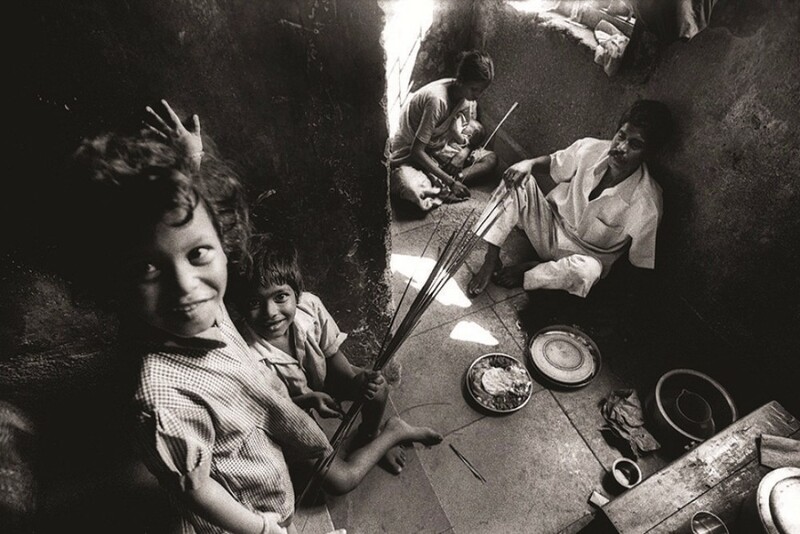 The second section is a compilation of photographs of the conservancy community of Mumbai. These pictures were taken during the workshop conducted by Sudharak. Each image is a slice of life, a living document of the contemporary time, striking yet subtle. These fascinating images are proof of the success of the workshop. The last section chronicles the disturbingly real life of conservancy workers of Mumbai, through pictures shot by by Sudharak himself. These 15 stunning photographs are from his project “Insearch of dignity and justice” which he did few years back as he tumbled into the life of these workers. “A few years ago, quite by accident, I descended into the “living hell” A phrase which quite accurately describes the life of these workers. What I saw shook me to the core of my being. That thousands of men and women that were living and working in such dehumanising conditions filled me with rage and shame. My rage and shame, their faith and trust, these are the forces that have impelled me to “search for dignity and justice”, to tell the “untold story of conservancy workers.” Quotes Sudharak. 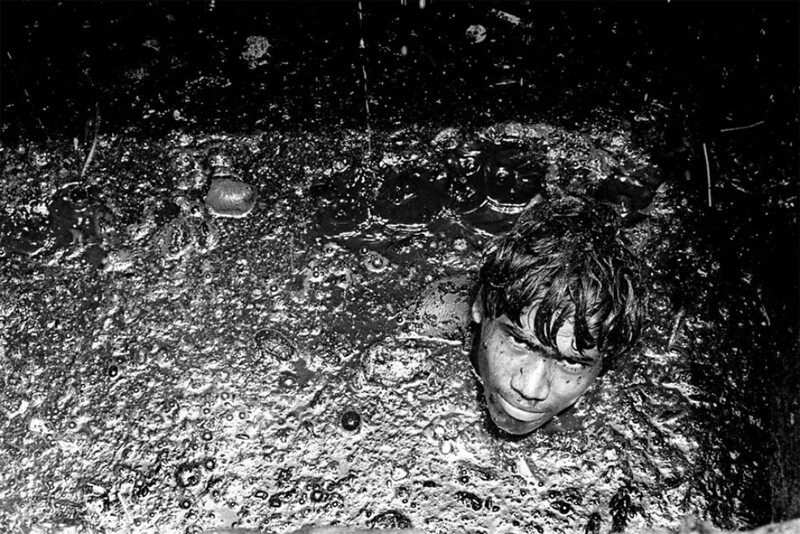 The photographs document the agonising truth of human scavenging, the images can disturb the senses of the viewer, to make him/her realise the risks these men and women take in performing their bread earning tasks. It also sheds light on the significance of these tasks which if remain unmanned, can pose a serious threat to any living community. In this section his attempt is to shed light on the people whose contributions to the society are not accounted and prompts the commoners to improve their civic sense and unburden the load of these workers. I believe there could be no better place for this exhibition in the city then Conflictorium. Located on the thresholds of the old city of Ahmedabad – Mirzapur is a perfect place in engaging local people to cultural activities. We surely need more cultural centres like these. Exhibition was inaugurated on 6th September by Sudhakar and is open for viewing till 30th of September. It is a must visit exhibition, timings of it are 11am to 8 pm and is closed on Mondays.